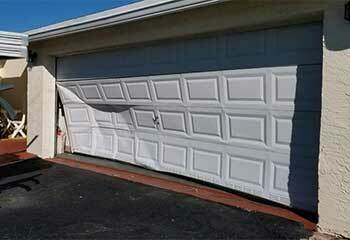 It's never a good idea to try and handle complex garage door related tasks on your own. That's how accidents happen. Take a look at our latest projects below to see how we can help you with everything you need. Customer Issue: Extension spring snapped. Our Solution: Our expert released the tension from the springs before examining the broken one as well as its counterpart to determine whether they both required replacing. 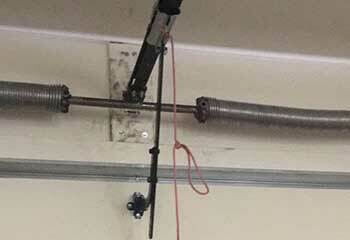 We installed the new extension springs after carefully removing the old ones and adjusted the tension. Our Solution: The door wouldn't close because the opener sensors were falsely detecting an obstacle. We carefully realigned them, and after making sure the door was able to close, we tested the safety reversal system to ensure it would reverse when something did get in its way. Our Solution: We removed the broken parts and installed matching new panels in their place, making sure to leave no gaps between the sections. After we finished, we tested the door to see if anything else was wrong. 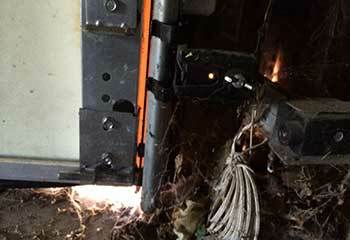 Customer Issue: Old opener needed to be replaced. 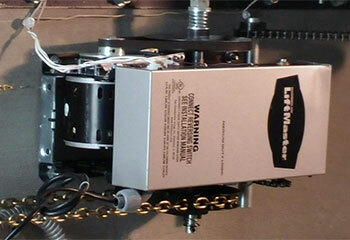 Our Solution: We made a few different suggestions, and since a little noisy operation wasn't an issue, the customer decided to go with the LiftMaster 8365W-267 1/2 HP chain drive garage door opener. After we finished installing the new unit for him, we made sure he was completely satisfied and knew exactly how to use it.